"Disappoint - to fail to fulfill the expectations or wishes. to defeat the fulfillment of (hopes, plans, etc. ); thwart; frustrate." This is what the movie "Hail, Caesar" did to me. I admit I went with great expectations. I love these other Coen Brothers' films; "No Country For Old Men", "True Grit", "Fargo", "Oh Brother Where Art Thou" and "The Big Lebowski". 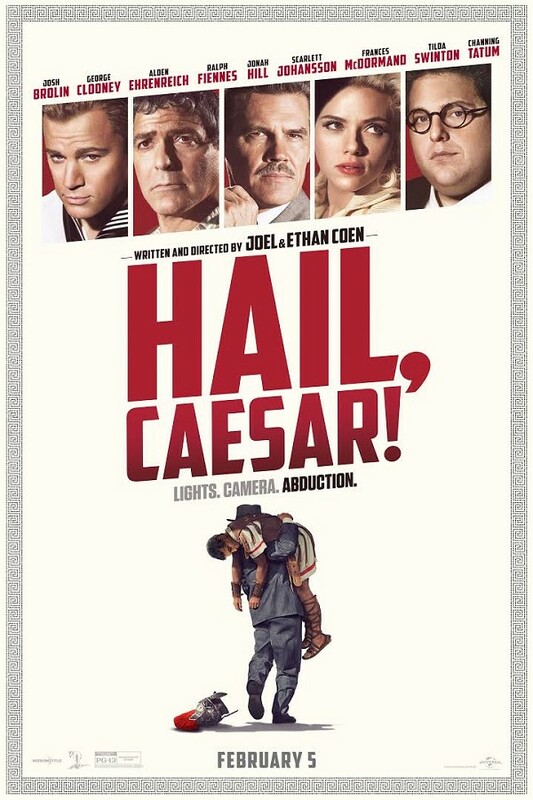 The previews for "Hail, Caesar" looked goofy and funny but I figured they were just teasers for more fun. Not so much. The trailers made you think it was to be a comedy. It wasn't really. A drama? It really wasn't that either. It was a mash-up of about five different story lines and none of them were given proper attention. It had so much potential. Just the idea that the Coen Brothers were the writers and directors meant a lot to me. It took place in the 1950's during a Hollywood hay day. Josh Brolin and George Clooney were exceptional. Channing Tatum had a fun part and a good dance number. Ralph Fiennes did a good job as a director. Alden Ehrenreich, a new comer by my standards, was excellent. However it had so many plots going on at once that none were fully fleshed out. The story was supposed to be what a Hollywood fixer at a big studio might have to do on any given day. Josh Brolin was Eddie Mannix, the fixer. His trials and tribulations were too numerous, too lightly sketched out and all-in-all not really necessary. To me it wasn't worth going to. But that is only my opinion and that of my friends'. So go if you wish. Try to have fun. Always eat popcorn.